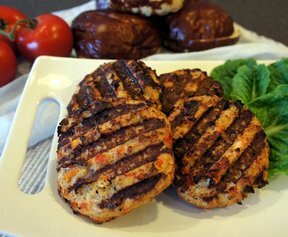 Change your usual grill fare with these wonderfully seasoned turkey burgers. If you prefer, two pounds of ground beef can be substituted for the ground turkey. 1. Mix ground turkey and Marinade Mix in large bowl. Shape into 6 patties. 2. 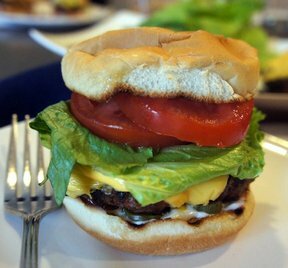 Grill over medium heat 4 to 6 minutes per side or until burgers are cooked through (internal temperature of 165°F). 3. Serve on hamburger rolls with leaf lettuce, sliced red onion, ripe summer tomatoes and provolone cheese, if desired.A Taste for Health Tip: Use lean ground turkey to save 69 calories and 5g fat.